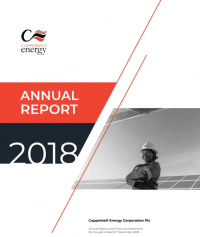 The Directors of Copperbelt Energy Corporation PLC (“CEC”) are pleased to announce the release of the annual report for the year ended 31 December 2015. Below is an extract from the Chairman’s Statement. The Group, in 2015, had to tread some difficult waters as the local and international economic storm clouds tested the resilience of the business and its ability to identify and ride on those opportunities that shore up overall performance while deftly scaling the challenges for a positive turnaround. I am pleased to report that 2015 delivered commendable performance for the Zambian operations, relative to the operating environment; while we made operational and regulatory improvements in Nigeria. Maintaining high standards of safety, health and environmental management is a flag the Group does not wish to let down but keep flying high not only for the good of the business but also for the benefit of the customers we serve and the communities we operate in.